Bathtub refinishing—also known as resurfacing or reglazing—is a valid option when a porcelain, enamel, or fiberglass tub becomes chipped, badly scratched, or cracked. The process involves first repairing any cracks or holes with a polyester putty or Bondo, then applying a spray or roll-on coating consisting of epoxies, urethanes, polymers, or a hybrid polyester-polyurethane blends. Refinishing can be done by professional installation or by using a DIY reglazing kit. But what do you do when that refinishing job, which looked so great at first, becomes worn or damaged a few years down the road? Although this most often happens with DIY applications, even the best refinishing application will eventually become worn and damaged. The problem that most often arises is flaking, as the surface glazing begins to slough off, leaving you with a bathtub that is no better than it was before you refinished it. Bathtub refinishing is essentially painting the tub, although is it painting that is done with a highly specialized coating. Your bathtub can, of course, be painted again. A limitation to refinishing a second time is that the underlying coat of refinishing material is not the best surface for adhering a new coat of finish. 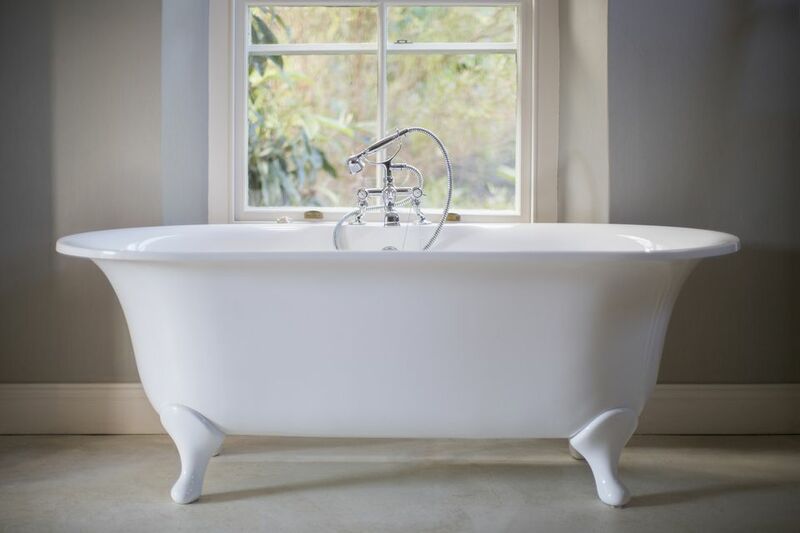 To be successful, the bathtub surfaces will need to be even more carefully prepared by thorough cleaning and etching, and any flaking, dings or nicks will need to be fixed before application of the second coat. If the first refinishing job did not last as long as you wanted, then you should use a different company for the second refinishing, and make sure they warranty the work adequately. Such repeated refinishing applications cannot go on forever. Refinishing is regarded as a temporary fix in the best of circumstances, and two refinishing coatings is the most you can reasonably expect to apply. And don't be surprised if the second refinishing has an even shorter life than the first. This perhaps would have been the better original option than refinishing, and it may now be a viable option when the first refinishing job begins to fail. A bathtub liner is essentially exactly what it sounds like—a thin, solid shell of acrylic or PVC plastic that slips inside the old bathtub to make it seem like new. You get brand new, smooth surfaces that fit inside the old tub like a glove. While there are stock bathtub liners available at home improvement centers, which you theoretically can install yourself, these are not very successful or graceful installations. They often do not fit perfectly, and they may flex and crack under your weight. They are also hard to seal perfectly with the drain and tub valves openings. A better tub liner solution is to have a professional firm specializing in this type of work come to your home, take precise measurements, and have a shell fabricated that exactly fits the size and contours of your tub and surround. Done well, this can be quite a successful remedy, though it will not be quite as perfect as installing an all-new bathtub. The most successful jobs are those installed by well-established firms with long histories. It may require as much as 8 weeks for the liner to be fabricated, and costs can easily run to $2,000 or more. But this is still less expensive than having a new bathtub installed. No bathtub will last forever. Refinishing may get you three or four extra years, and a liner may serve fine for five to seven additional years, but eventually, your tub will need to be replaced. In fact, it may be better to bite the bullet and replace it when it first begins to show its age, rather than going through the hassle and expense of performing refinishing and installing liners, which are of limited duration, anyway. HomeAdvisor, a trade organization that serves to match homeowners with qualified local contractors, reports that the average national cost of replacing a bathtub is $3,087, although costs of $5,000 or more are quite common. But it's easily possible to spend $3,000 on various stop-gap measures such as multiple refinishing and bathtub liners, so in the long run, installing a new bathtub may make sense, provided you can afford it.